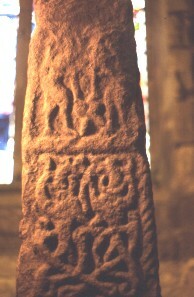 The cross on the right has the remains of four panels on the front. The top panel is thought to be Adam and Eve with something between them, but this is very eroded. The next panel has a pair of beasts.